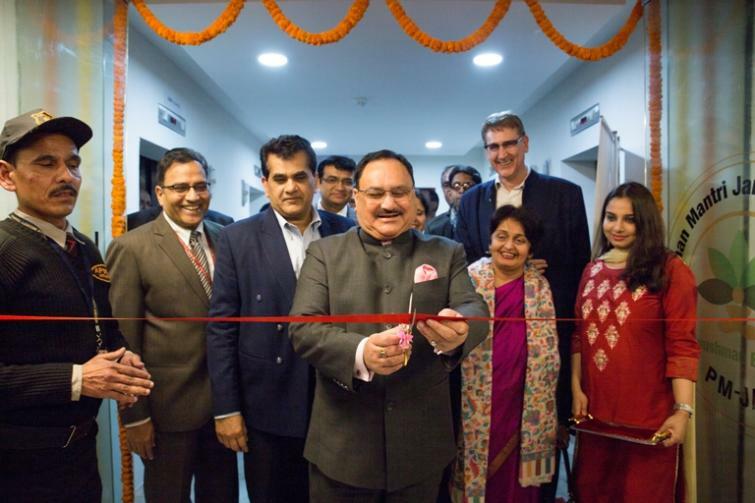 Kolkata/New Delhi, Feb 5 (IBNS): Union Minister for Health & Family Welfare J. P. Nadda on Tuesday inaugurated the newly constituted National Health Authority (NHA) by inaugurating the office of Ayushman Bharat Pradhan Mantri Jan Arogya (AB PM-JAY). The Minister formally inaugurated the 7th and 9th floors of the Jeevan Bharati (LIC) Building, in Connaught Place, where the NHA, responsible for implementation of PM-JAY is currently housed in. The National Health Agency had been restructured as National Health Authority (NHA) through a January cabinet decision. As per the notification dated 1st February, 2019, the Union Cabinet approved the restructuring of existing National Health Agency as “National Health Authority” for better implementation of the Pradhan Mantri Jan Arogya Yojana (PM-JAY). Through the decision, the National Health Agency, registered as a Society under Societies Registration Act 1860, has been dissolved and has been replaced by National Health Authority as an attached office to Ministry of Health & Family Welfare. With the dismantling of the earlier two-tiered management structure, NHA will have full functional autonomy and shall be governed by a Governing Board comprising of the Union Minister for Health & Family Welfare as its Chairman and 11 members. To effectively carry out the tasks allotted to it, the newly-created NHA through the Governing Board will be responsible for framing, amending and repealing of policies and administrative and financial procedures relating to hiring/utililization/retention of resources, outsourcing of various tasks, budgetary support, and release of funds including guidelines for bank accounts for the management and administration of the authority. The Minister also launched the Ayushman Bharat (PM-JAY) mobile app through a live demo. Introduced within just 4 months since the launch of the scheme, the app helps users get easy access to information on the scheme, check eligibility, find hospitals nearby and get assisted help. The mobile app which was under testing for the last few days, has already reached more than 10,460 downloads and an average rating of 4.6, and has generated wide interest among the general public. The app is available on Google Play Store for Android users.